Star West Coast midfielder Luke Shuey has admitted to a little bit of surprise at his late inclusion in the star-studded International Rules squad. Shuey said he had no hesitation taking up the offer to join the team for Tests against Ireland at Adelaide Oval on November 12 and Domain Stadium on November 18, despite the prior stipulation that players must have been All-Australian in their career. The 27-year-old said he wouldn’t be rushing to correct anyone after he was one of six players added to the team on Thursday. “It’s been something I’ve watched probably since I was kid, really, back in the day, but something I’ve always watched on and always would have loved to have taken part in,” Shuey said. “I’m honoured to get the opportunity. “A little bit (surprised), yeah. The criteria has been that you have to have been All-Australian the last few years so I thought that was still the case. “I wasn’t going to remind them I wasn’t All-Australian, I was hoping it slipped through the cracks. I was just waiting for the phone call. “It was an opportunity I couldn’t say no to and, as I said, it’s something I’ve wanted to do for a long time so I’m pumped to get the opportunity. “I guess I’ll learn a little bit off all the guys, really. It’s a pretty star-studded line up. I might spend a bit of time warming the pine. It will be fun. It’s going to be good to rub shoulders with all of them. Shuey will be the only Eagle in the team, joining Fremantle skipper Nat Fyfe as the only WA-based players in the squad. 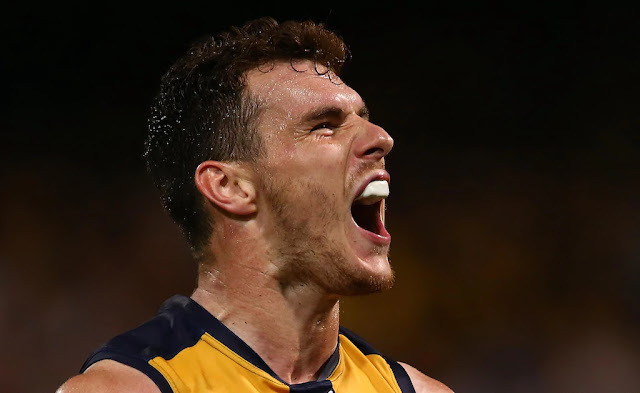 Shuey said he was able to say yes because he had made it through the season unscathed. He didn’t expect his appearance in Australian colours to affect his pre-season. The Eagles’ joint vice-captain said he’d had a little bit of experience with the round ball throughout the year thanks to teammate Sam Mitchell. “I actually snuck a bit of training in during the year because coming from Hawthorn Sam Mitchell loved his soccer and we found ourselves kicking a soccer ball around most sessions just for a bit of fun,” he said.